Don’t we all go through challenges? Dark phases with no way out? Yes we all do. The tough circumstances could be handled in our personal lives when our family and friends stand by us but what about the professional lives? The silver lining between the friends and foes in the professional environment becomes even thinner due to the obvious reason of conflict of interests. In such moments of much needed enlightenment, I believe books are the best bet. This book for me falls into the same light where it tremendously helped me gain insight through various such moments. An ace effort by the author to extend mentorship to readers worldwide. 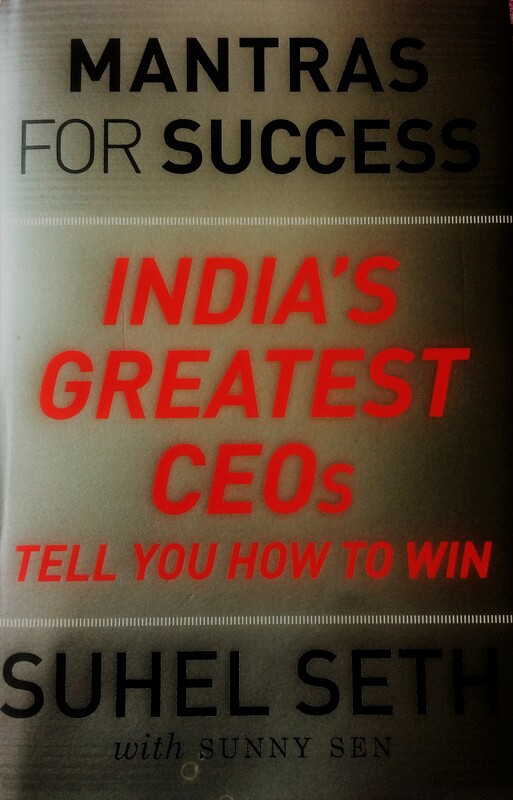 The book is about twenty-one of India’s greatest CEO’s and their professional journeys while establishing their businesses in India. All of these CEOs have different personalities from each other and all of them work in mostly different areas. This gives the reader a 360 degree view of the business world in India. While the subjects in the book have such vivid differences their success is attributed a few things in common – their charisma to inspire colleagues and the resilience to overcome challenges and setbacks. The details of their efforts to cut through the challenges, sometimes fail and often becoming victorious make the book an inspiring read. The author has captured the highs & lows of each corporation with impeccable detailing, yet kept it concise for the reader. It is not a collection of biographies but an amalgamation of real world experiences to explain how one can become a winner. I loved the key takeaways at the end of each chapter. Not to be considered as a one time read. Read, learn from each chapter, implement key takeaways to your life and then move on to reading about the next winning strategy! This is a book that should inspire you with tales of what is possible and give you food for thought. You don’t have to be a business leader or a management student to benefit from this book. The book is one of the prized possessions on my book shelf.